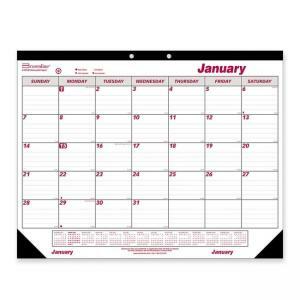 Media Size: 21.75" x 17"
Brownline MM125378521 Monthly Desk/Wall Calendar - 21.75" x 17"
Desk/Wall Calendar offers easy-to-read, monthly references. One-page-per-month format includes lined daily blocks and 14-month calendar reference at the bottom of the sheet. 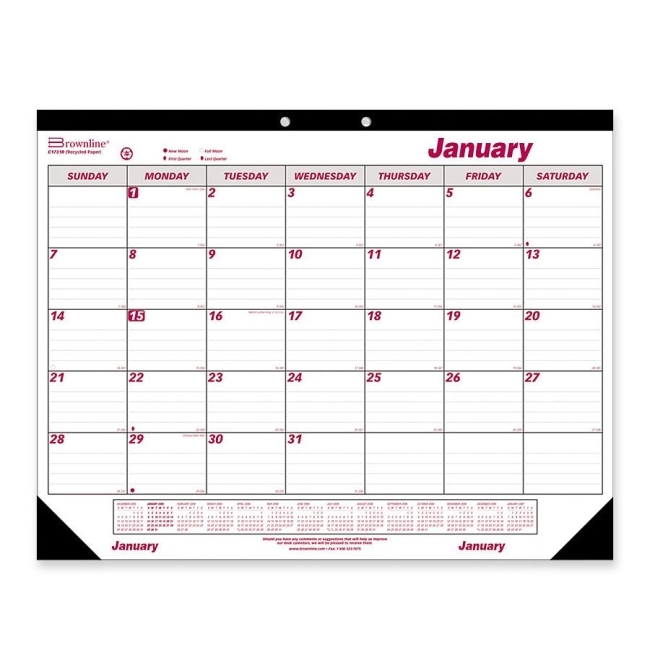 Topbound calendar offers tear-off sheets. Calendar pad has a reinforced backing card, corners and two eyelets for hanging. Made with virgin paper. English.